In the PS4 Battle Royale game Apex Legends you can unlock a total of 12 trophies. In this Trophy Guide we show you all the trophies and their tasks. 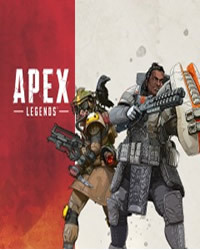 More Guides and News about Apex Legends you will find on our overview page. Welcome to the Apex Legends Trophy Guide. It's pretty easy to get all the Apex Legends trophies. There is no Platinum Trophy to win and there are only 12 trophies in total. The only thing stopping you from unlocking all the trophies is time. One of the silver trophies that requires you to reach level 50 is expected to take 20-25 hours. This task is self-explanatory, simply plays with all characters until the trophy is unlocked. You can get legendary gear by heading to the high tier loot locations on the map. You can also find legendary equipment in storage boxes. There are also boxes containing legendary items. Once an Apex Legend Team Player is fully downed, you can get his banner and move to the next green respawn point on the map. This will revive him and he will come back into the game. Equip a Fully Kitted Weapon - You must attach all attachments to one of your weapons. The only way to do that is to continue to loot and look for the attachments you need. You can find them in supply crates or in buildings.